It’s amazing that after 17 seasons covering the NBA, Thursday night’s Game 6 was Craig Sager’s first time working the Finals. Sager joined the ESPN/ABC broadcast team, working the sidelines along with Doris Burke while rocking another one of his iconic suits. In 2014, Sager was diagnosed with acute myeloid leukemia. For the past couple years, he’s gone through multiple treatments including chemotherapy, stem cell transplants and bone marrow transplants. On the court, LeBron James was the star. He recorded 41 points for the second straight game and has willed the Cavaliers back from a 3-1 deficit to Game 7 on Sunday. Cleveland could be the first team to win a Finals after being down that much, and it would be even more impressive to do so against the 73-win Golden State Warriors. Off the court though, literally, it was Sager getting standing ovations from the Cleveland crowd. Before the game, Sager spent time FaceTiming with University of Pittsburgh running back and Hodgkins lymphoma survivor James Connor. A mentor of Connor’s was shooting the game for WJET and connected the two on the phone. After the game, James shared a really special moment with Sager. Leave it to Richard Jefferson to add some more humor to it. Game 7 tips off at 7 PM Sunday on ABC. With “The ’85 Bears” 30 For 30 debuting this week, we talked to Mark Grote from 670 The Score about following the team as a fan and their legacy in football history. We also get you prepared for the weekend with the commercials to look forward to, the halftime show, prop bets and more going into Super Bowl 50. Listen for how to win the first Piffcast giveaway too! Listen and react on Facebook or Twitter! The Pro Bowl is dumb. There’s no debate about that. Last night, Russell Wilson was the only one among the Top 6 quarterbacks in the league to even be present in Honolulu, and that showed as he threw 3 touchdowns and won the game’s Offensive MVP award for it, I guess. Meanwhile, one of his teammates took home the “Defensive” MVP award. I put that in quotes because DEFENSE is a relative term when it comes to the Pro Bowl. By the 4th quarter, the game devolved to touch football and nobody was even trying to tackle each other…and why should they when it’s just an exhibition game and nobody wants to risk getting hurt? In my opinion, those in charge of the Pro Bowl couldn’t let Michael Bennett leave without any hardware after this attempt to make it fun for all involved. Meanwhile, Richard Sherman attempted a Stone Cold Stunner on Packers linebacker Clay Matthews. “MAH GAWD, THAT MAN HAS A FAMILY!” Maybe. While the players had fun hanging out and pretending to play football, one viewer was having an absolute blast watching this game. Safety Earl Thomas live tweeted the whole thing for the rest of us. And we appreciate Thomas for apologizing on behalf of his teammates, but maybe he can say the same for his fellow players union members too who have it in the Collective Bargaining Agreement to keep this mess going. As bad as the game was, there’s a good chance the Pro Bowl drew a better viewership than the NHL’s All-Star game…which I heard was great. Follow along for more on Facebook and Twitter! When Michael Jordan talks, people listen. At his 20th “Flight School” Camp in Santa Barbara, Jordan took the mic for a Q&A session…and it was everything an MJ fan would want it to be. If you had to win one game, who would you want coaching: Phil Jackson or Dean Smith? 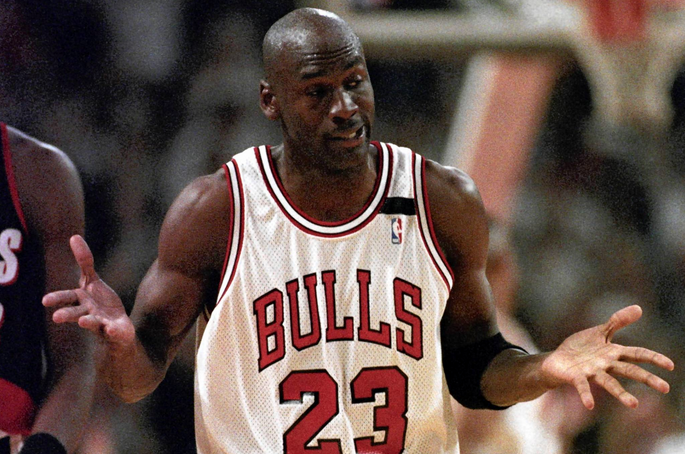 What did you think when Shaq said the All-Time Lakers could beat the Bulls’ greatest players? Who would you choose to go one-on-one with between Stephen Curry or LeBron? Who would you add to Team Jordan? If you were in your prime, could you beat LeBron in a one-on-one game? “This is the ESPN Question. I know it’s going to be all over ESPN…(longer pause). MJ’s also a big Robin Thicke fan, apparently. Jordan wasn’t wrong about the LeBron one-on-one question. It went viral in minutes. I haven’t even flipped on ESPN yet today, but it’s easy to guess what they are talking about. I personally hate the debate. Jordan said so himself, while responding to Shaq’s nonsense, we’d never know because they won’t ever play each other in their prime. I also think people who get hung up on the debate don’t allow themselves the opportunity to appreciate what LeBron has accomplished. What we forget is that the younger generation today didn’t even see Jordan play in a Chicago Bulls uniform. Kids going into high school weren’t even born yet, and neither were the kids who sat around Jordan at the Q&A. So when you hear rumors of a Space Jam sequel potentially happening, isn’t it logical for LeBron to star in it since most kids today grew up watching him play instead of Jordan? Here’s the video to most of the Q&A and it’s definitely worth the watch. The 44th President of the United States LOVES his sports. He is an unapologetic Chicago White Sox fan. He fills out March Madness brackets for both Men and Women’s tournaments on SportsCenter each year. 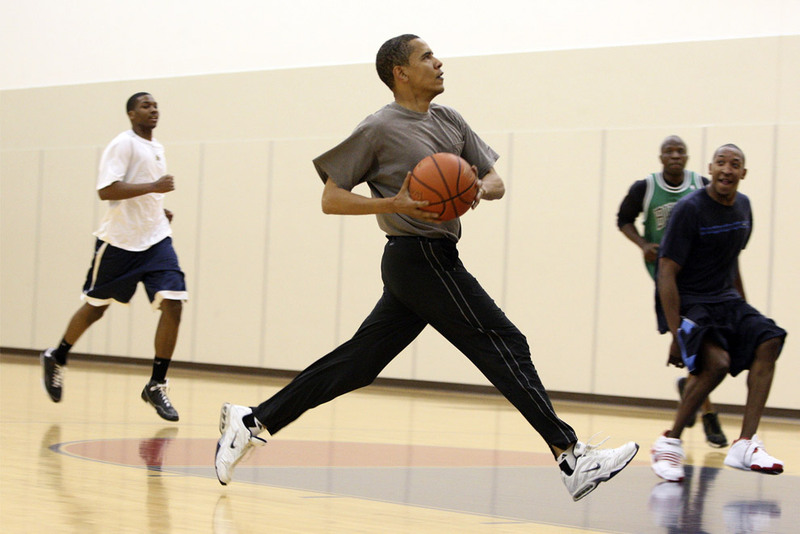 He also has no problem mixing it up on the White House basketball court. So on his 54th birthday, lets put the partisan blah blah blah on the back-burner and appreciate something we all enjoy…Sports. I look forward to the President’s annual segment on ESPN where he joins the rest of the nation in the Madness. 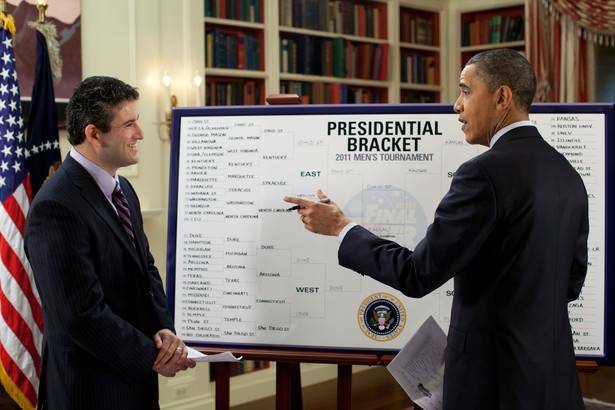 Since he was elected, President Obama is interviewed by college basketball reporter Andy Katz from the White House to talk out each of his picks. Last year he took regular season undefeated favorite Kentucky to win it all (like many of you did) over Nova, and was obviously incorrect as Duke beat Wisconsin in the National Championship. President Obama finished in ESPN’s 72.9 percentile in 2014 and was most successful in 2011 with a bracket in the 87.4%. 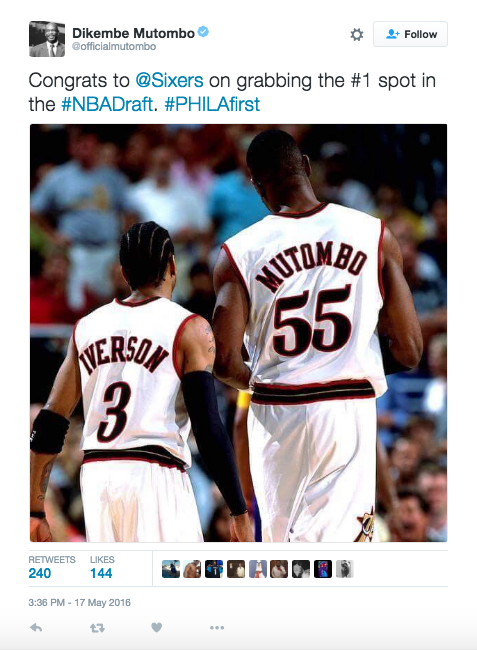 Both years, UConn won the National Championship and he didn’t pick them. The President did choose a National Champion for his first year in office, North Carolina in 2009. ESPN isn’t the only network who gets to share air-time with the Commander in Chief as one of CBS’s best color analysts, Clark Kellogg, took him on in a game of HORSE…err POTUS. I don’t even want to know what would’ve happen if the President got skunked. And wore his lucky hockey sweater while doing so. 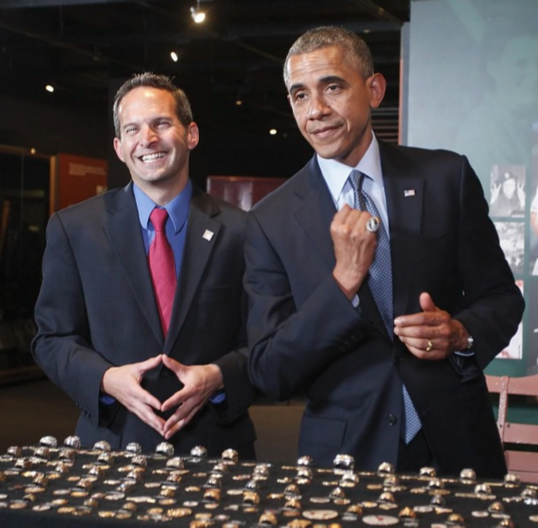 While touring Cooperstown a year ago, the President asked to try on the White Sox World Series ring. …and then donated the Sox jacket he wore to throw out the first pitch at the 2009 All-Star Game to the Baseball Hall of Fame. 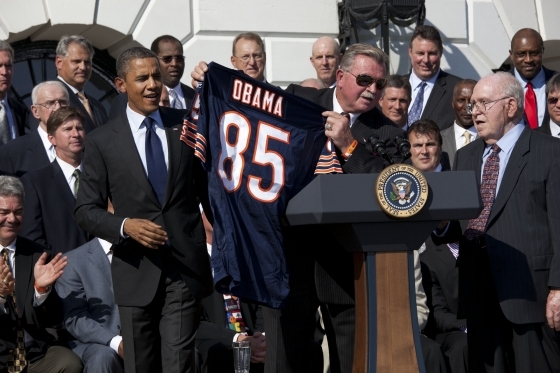 The President even hosted a White House visit for the Super Bowl winning 1985 Bears team, because they never got the chance to do so before. 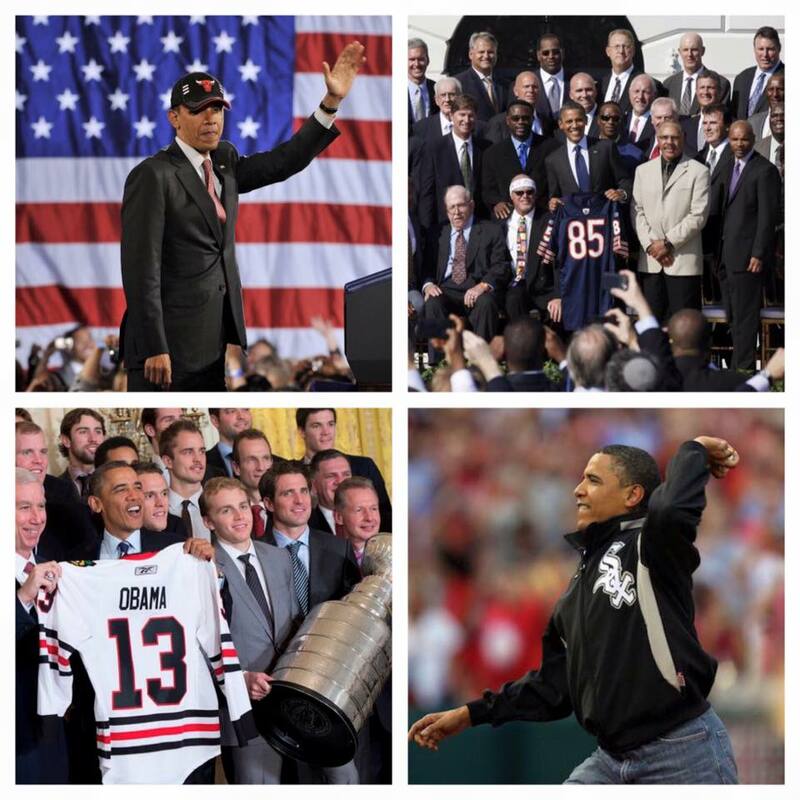 The ’85 Bears and the Blackhawks may be the only Chicago teams that the President has hosted at 1600 Pennsylvania Avenue, but he always seems to get a quick shoutout in for his favorite squads when he hosts other teams. But damn, do those photo ops turn out great.